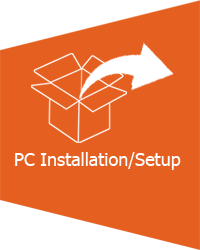 Whether you are getting your first ever personal computer or replacing an existing system, PC Care can set-up and install your PC, connect and install any peripherals or additional software, install and configure your internet security software and get you connected to the internet or network and make sure you start things off on the right foot. If you have an existing system we can also backup and transfer all your important files, documents, photos, videos, music, internet favourites and emails from your old system to your new one, ensuring that you don’t loose a thing. If you have any programs or hardware running on an old system that you would like to use on your new one we can also advise about compatibility issues and solutions should the two systems have different operating systems.